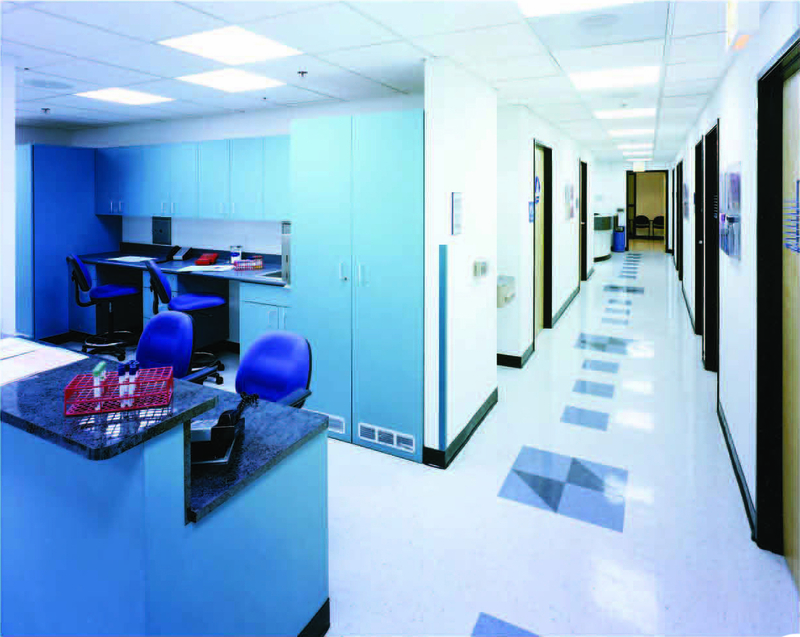 This dental facility boasts a vibrant display of floor patterns and colors which make this managed care dental provider one of the most spirited dental centers in the area. 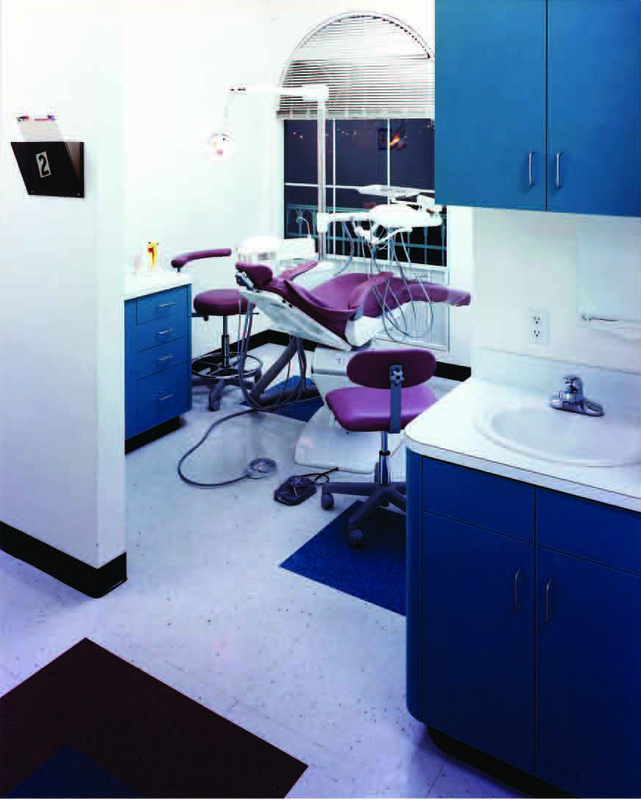 Distinct architectural shapes and geometric patterns add interest to the waiting room which is typically, in many other Dental offices, a bleak atmosphere. 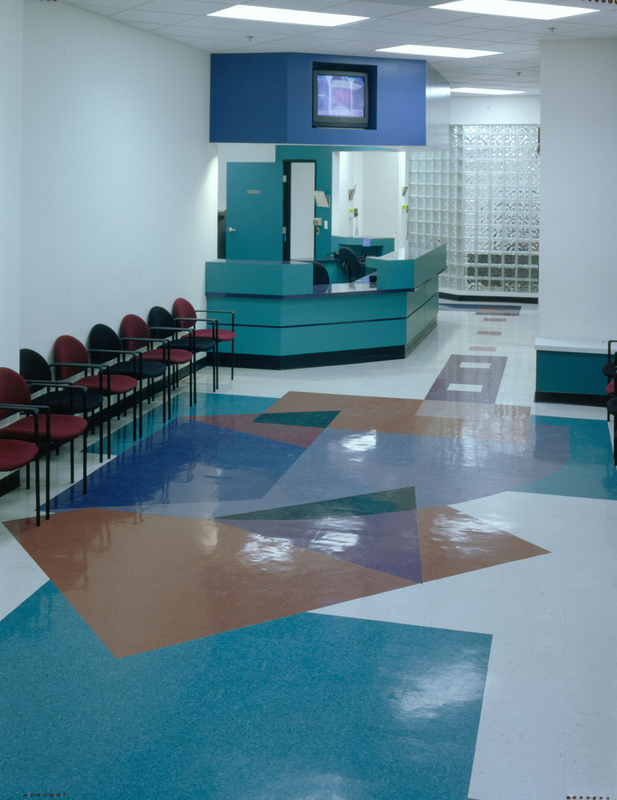 Bold and playful colors engage the waiting children who may otherwise become restless. 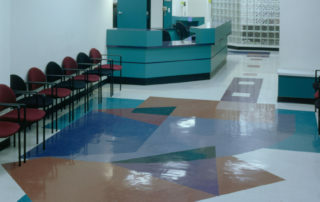 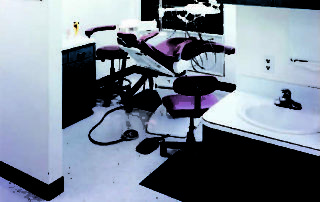 A cost conscious selection of VCT flooring laminates and other materials are applied in a unique fashion to provide a stimulating space while keeping budget concerns under tight control.This dental facility boasts a vibrant display of floor patterns and colors which make this managed care dental provider one of the most spirited dental centers in the area. 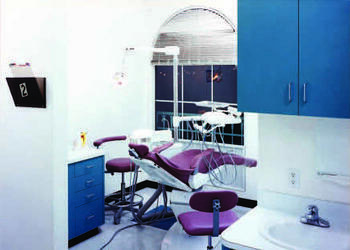 Distinct architectural shapes and geometric patterns add interest to the waiting room which is typically, in many other Dental offices, a bleak atmosphere. 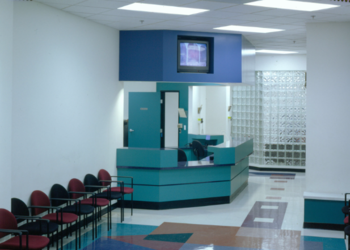 Bold and playful colors engage the waiting children who may otherwise become restless. 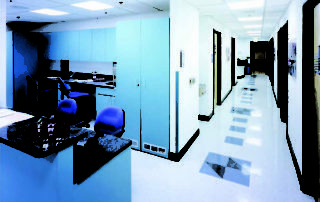 A cost conscious selection of VCT flooring laminates and other materials are applied in a unique fashion to provide a stimulating space while keeping budget concerns under tight control.